Click here to see all of my unique and creative designs! Handmade jewelry is made by bringing together different components that are assembled by the hand of mankind other than using machines. Even if at some point lathes and drills are used to make the jewelry, they have to be guided by the hands of humans. 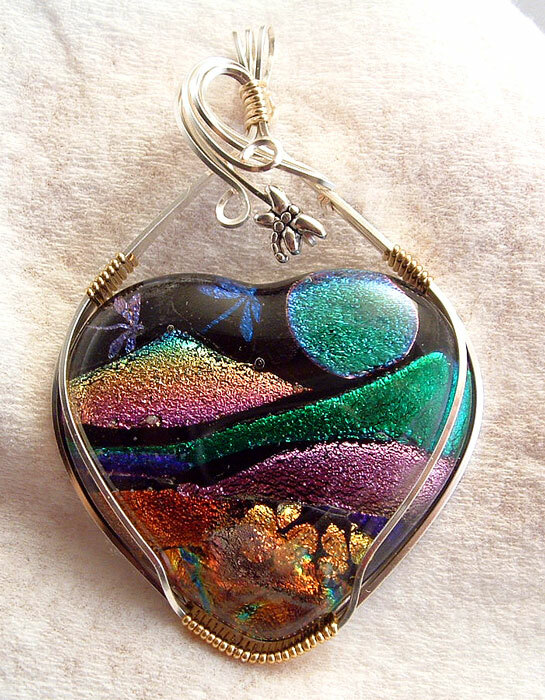 They are made by artists who use any kind of available material to come up with unique designs by using several techniques. 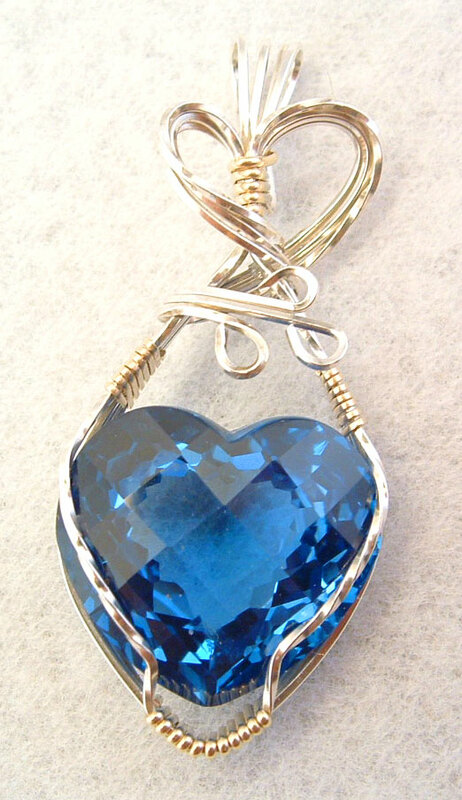 Some of the materials used to make the jewelry include gemstones, special coated wires, beads or even threads. 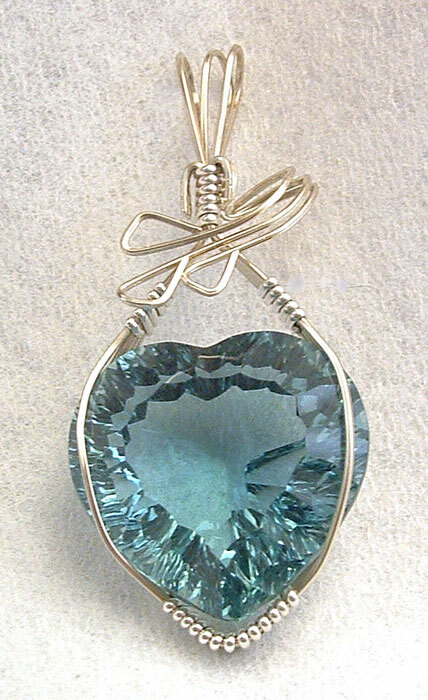 With the unique skills, the jewelry are crafted using wires wrapped on the gemstones. History of handmade jewelry is traced back several thousands of years ago when jewelries were used by different cultures for different purposes. They provide several myths about how the ancient cultures functioned. 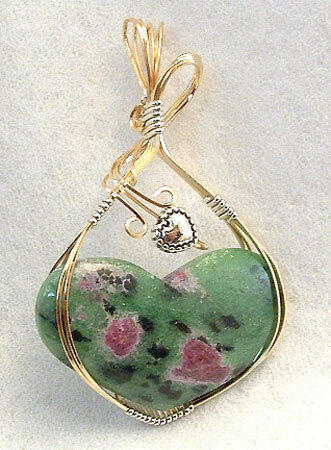 This also includes the beautiful wire wrapped jewelry. 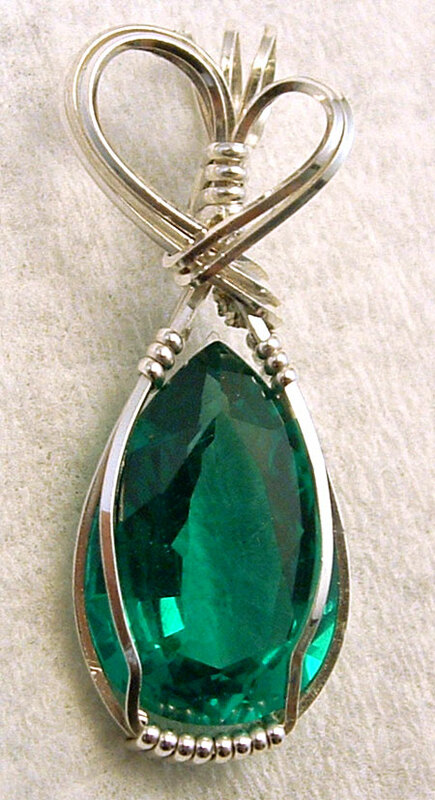 It is believed that the very first jewelry originated from the people in Africa. The materials used then included perforated beads that proved that shell jewelry made out of sea snails, dating 75,000 years ago at Blombos Cave, were very beautiful. In Kenya, at Enkapune Ya Muto, perforated ostrich egg shells were used to make numerous beads dating more than 40,000 years ago. In other parts of the world, there is evidence that the Cro-Magnons wore crude bracelets and necklaces made of bones, teeth, berries, mammoth tusks and stones. 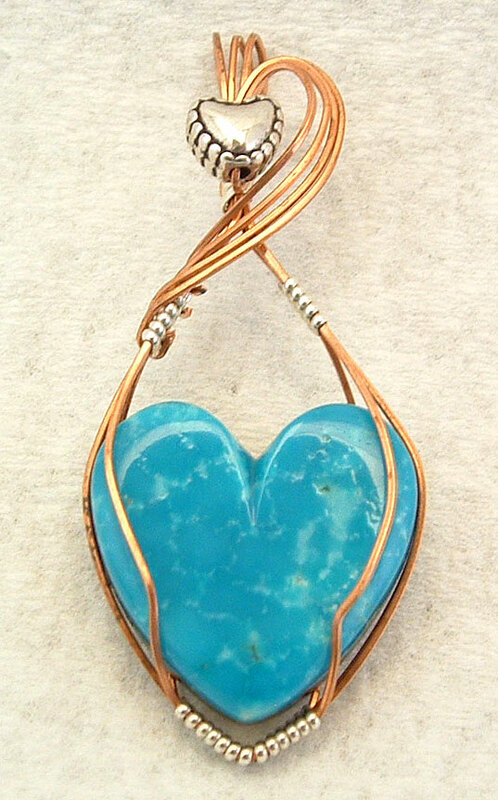 The first sign of a copper jewelry was seen around 7000 years ago. Tremendous development on handmade jewelry include; Pair of Gold Hair Ornaments, Mesopotamian, circa 2000 BC in Greece, Gold earring from Mycenae, from the 16th century to the 20th century where there have been tremendous improvements on jewelry making worldwide. In the 21st century, most modern commercial jewelry continues traditional forms and styles, but designers have widened the concept of wearable art, bringing in the use of plastics, Precious Metal Clay, and coloring techniques. 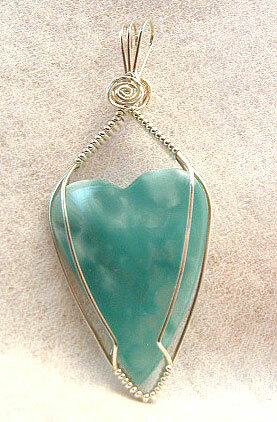 Handcrafted jewelry has become very popular around the world. The current trends in handmade jewelry making involves unique necklaces, bracelets, rings, earrings and are all about size, volume, and edginess. They include; oversized cuffs, stacking rings, mixed metals, chandelier earrings, cuff earrings and cartilage jewelry, bright-chunky rings, glam chokers, statement necklaces, layering small pendants and charms as well as animal-themed jewelry. 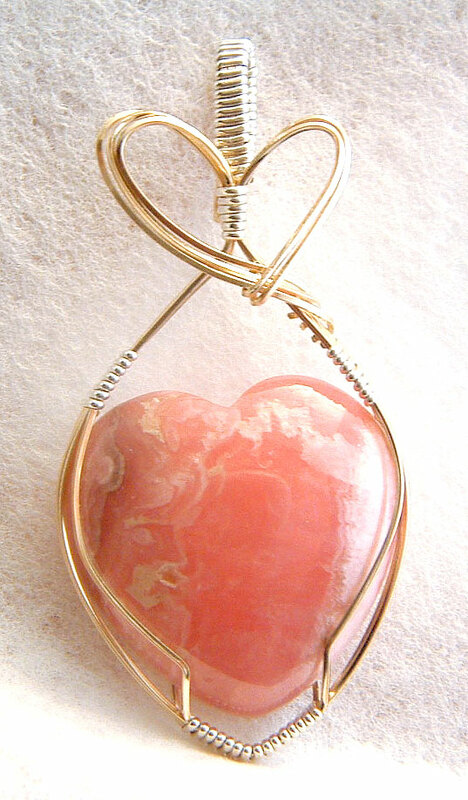 Therefore, you need to look for current trends in handmade jewelry making, especially the wire wrapped jewelry. 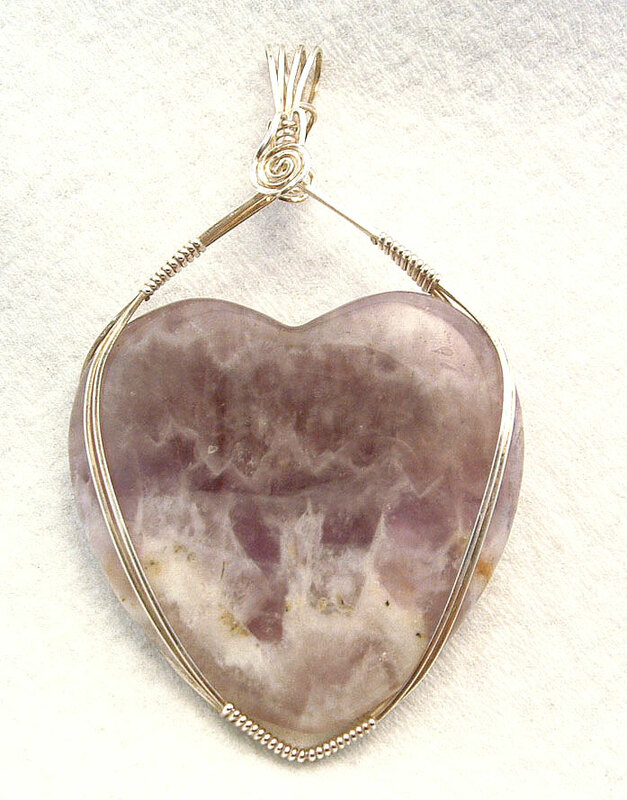 I use several gemstones to make wire wrapped jewelry as it gives it the glamour that is required of it. 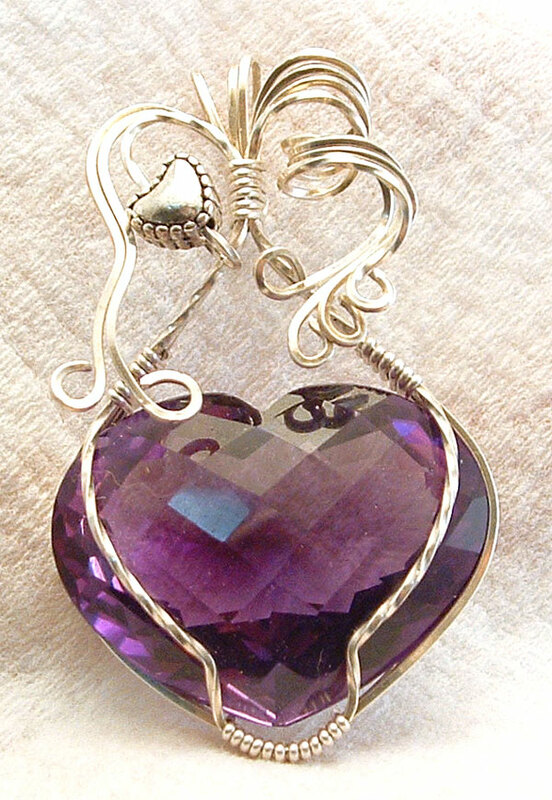 I use Ametrine Heart gemstone to make very unique and gorgeous jewelry. 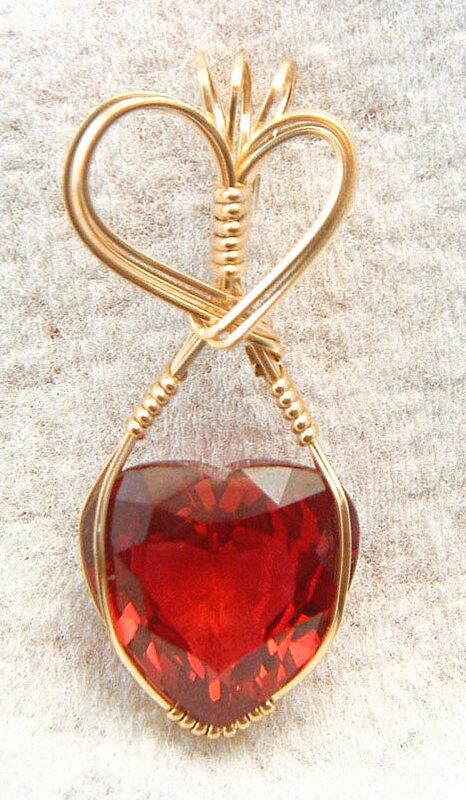 This awesome sparkling gemstone that is heart-shaped is wrapped using 14k gold-filled wire that is approximately 1 7/8” long and 1” wide (48x25mm). It is approximately $ 150 in price. My skills as a jewelry artist are unique. I have acquired over 25 years of twisting Stainless Steel Safety wire as a licensed Aircraft Mechanic and Inspector, working on Piper Cubs to Boeing 747s. 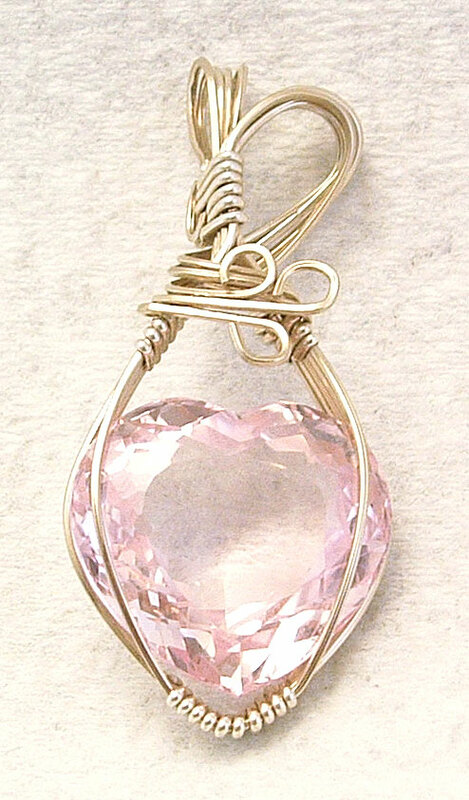 This vital skill of mine has enabled me to transform a wire wrapping activity into a serious business of jewelry making. 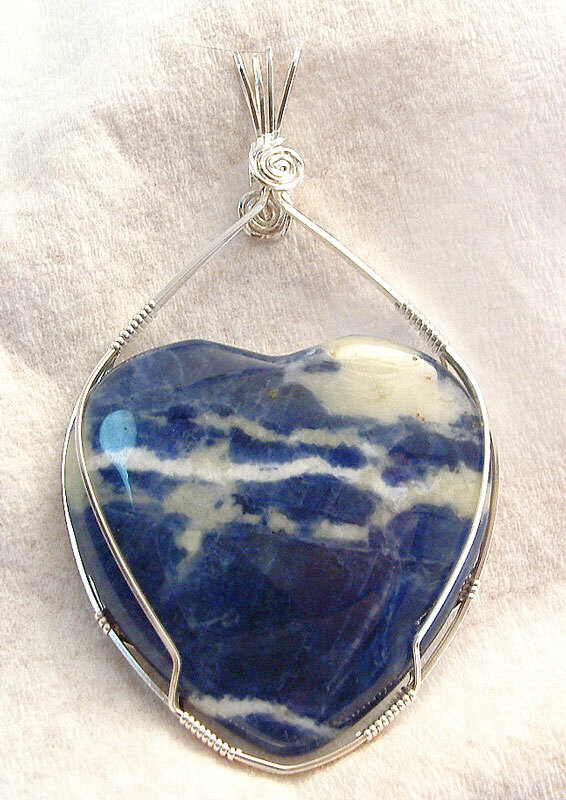 For my handmade jewelry, I wrap stones creatively by observing each angle to bring out their natural look and use the very finest available materials in the market. All my plastic materials and wire wrapped jewelry are of high quality and I use natural materials like Coral, Jasper, Turquoise, Agates, Glass and Pearls, without forgetting the whole family of Citrine & Peridot, Apatite & Amethyst as well as Chalcedony & Tourmaline gemstones. Also in my possession is the world’s finest lead crystal that is made by Swarovski. 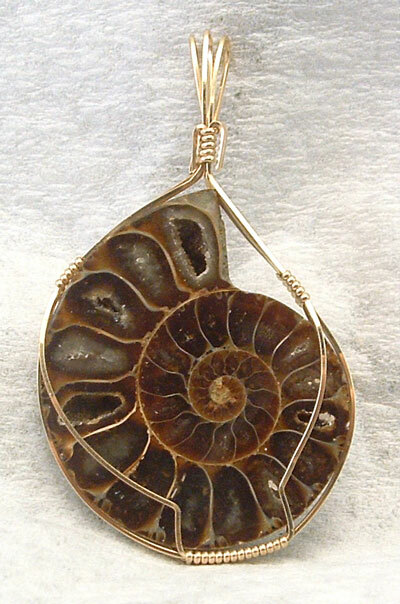 Moreover, I use solid Sterling Silver, Copper or Brass wire and 14k Gold, to wrap my one of a kind jewelry that is handcrafted. 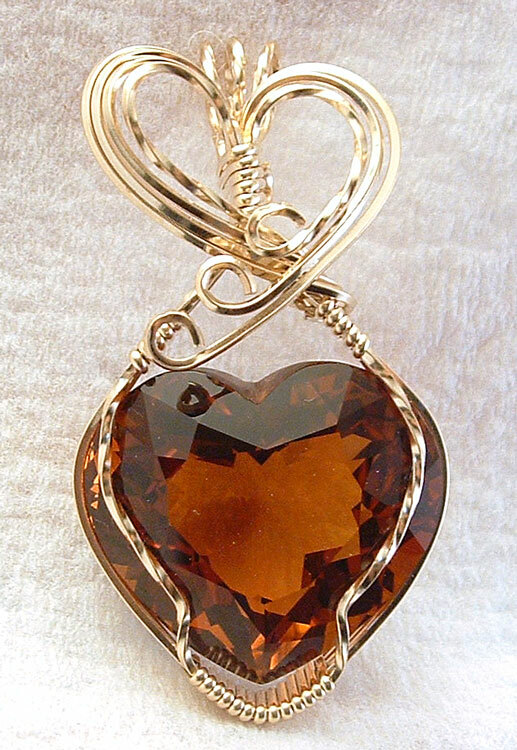 I also customize jewelry pieces to meet the individual needs and unique personality of each client as well as budget. You can see all these products, and more, in my website www.wrappedtogo.net. Sure you can go to Kay’s, Zale’s or Tiffany’s and buy a piece of jewelry that millions of others have access to as well. So why not get your special someone something special! Handmade jewelry is the way to go! Check out my web-store: Wrapped to Go! Fresh off the pliers, I have three brand new smoky quartz pendants to offer! All are quite fabulous and wrapped in 14k gold filled wire.